Choose a white table with simple lines for a modern outlook. The shape of the table can give a minimalistic character that will be brought out by the accessories. You can change your dining room by choosing white or off white chairs. The creaminess of the color will add a soft elegance that will enhance the beauty of your space. 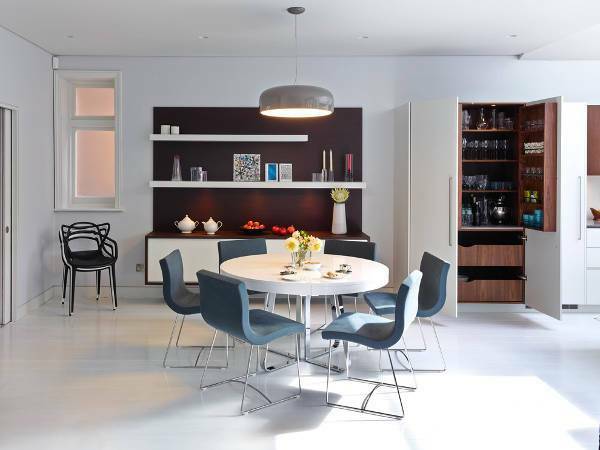 Like this Scandinavian dining room, you can create your space in a black and white scheme. The luxurious and dramatic combination of the black table with white chairs will be the center of attention at every occasion. For a modern outcome you can invest in a white modern dining table. The simplicity of the tables design and the beauty of the marble will blend well with black details and accessories. You can incorporate a white table in a round shape for your kitchen. You can choose a table with wooden parts for a more natural feeling. The rusty brown chairs bring the autumn in your kitchen completing the look. 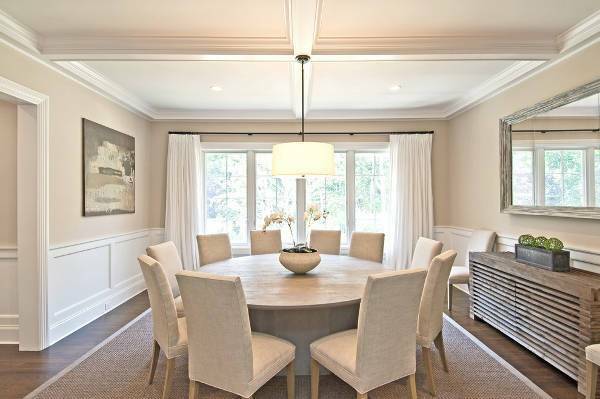 A contemporary style dining room like this one is an elegant choice. The close proximity of the chairs give a cozy feeling to the room while the round shape of the table complements the atmosphere with a sense of unity. If you want to combine different styles then this the way to go for it. A blend of modern and vintage will give a luxurious result. 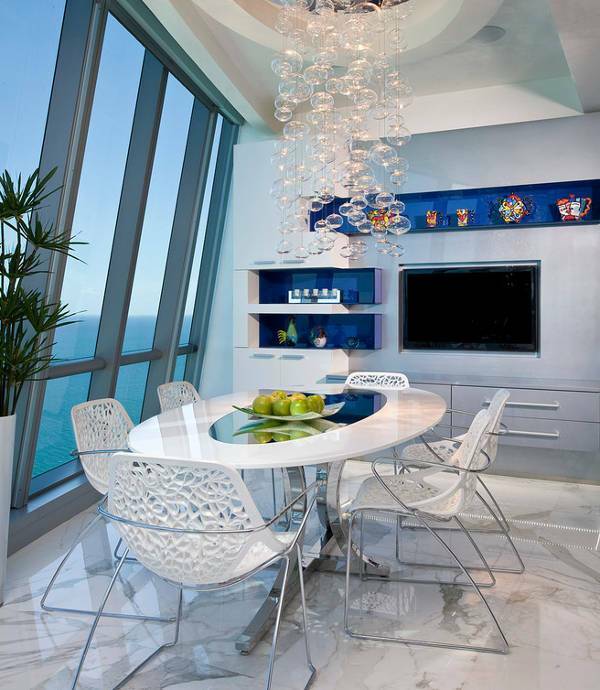 A white glass dining table in oval shape matched with chandeliers will be the best combination. 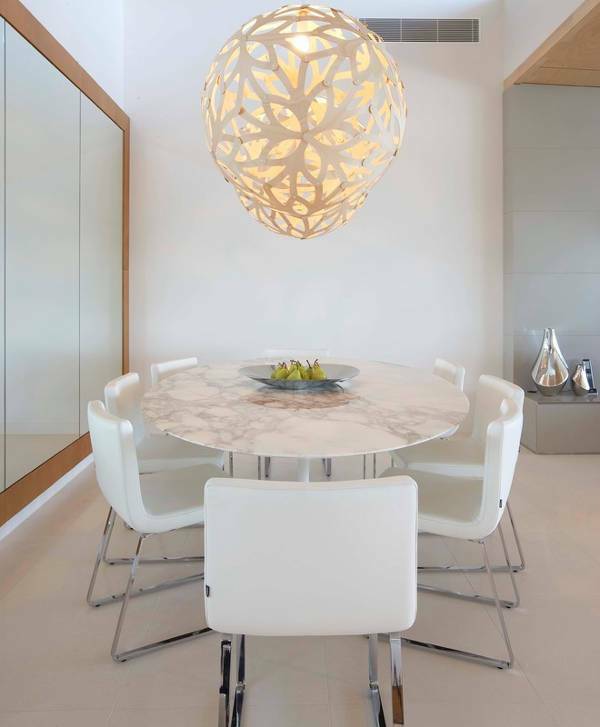 A white dining table in round shape is both elegant and a transitional piece of furniture. You can create this modern style with white chairs and a few classic accessories. 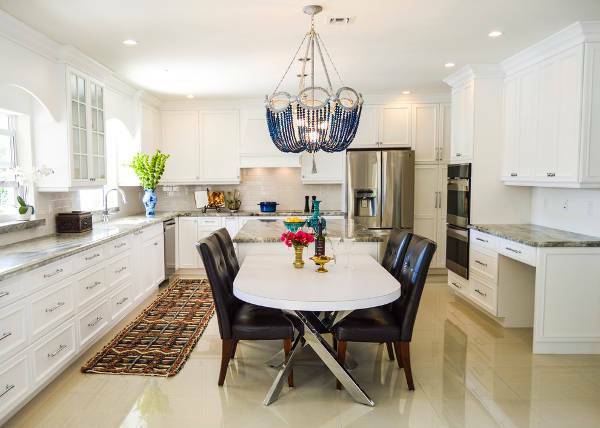 With this modern white dining table, you will have an elegant addition to your kitchen. You can match it with wooden flooring for a natural feeling. In general, you can play it up or down with a white kitchen. Whether on its own or combined with other colors white is an elegant and classic choice. From old time traditional to modern, white can adapt to every style you choose.